A native New Yorker, I found yoga when I moved to Atlanta some years ago. The community, self-awareness, and physical health I gained through Yoga inspired me to identify ways to bring Yoga to the greater Atlanta community. My abbreviated traditional apprenticeship, and 200 Hour training at Nirvana School of Classical Yoga have helped me to get a deeper understanding of Yoga fundamentals. As a result I am able to make the postures and philosophy of Yoga accessible to pupils of all ages. I offer large & small group classes, personalized Yoga for private individuals, specialized Yoga for business, and Yoga workshops. Click Here if you are interested in setting up individualized yoga for yourself or your organization. **Interested in having me be apart of your Yoga journey? 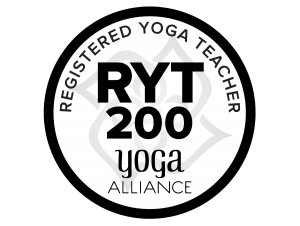 Interested in becoming a 200 hr Certified Yoga Teacher? Want to study the ancient philosophy & deepen your practice? Consider joining the Nirvana School of Classical Yoga 200Hr Teacher Training. I am one of their Yoga Teacher Training Mentors. Have questions? Contact me! Interested in a Personalized Yoga?